Our Wire Pattern Test Tube Stand is an economical substitute for wire racks, as it is submersible and autoclavable and it becomes stackable when it is empty. 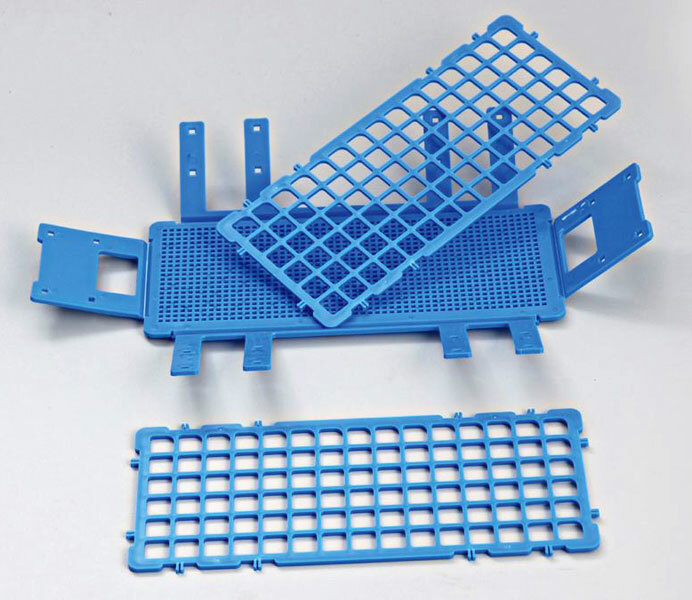 The Wire Pattern Test Tube Stand is available in different colors and is made of a special blend of Polypropylene, which makes it sink in a water bath and maintain their stability even in agitated water. Our Wire Pattern Test Tube Stand can easily be disassembled for cleaning purposes. The base is in the form of a grid with square openings and has fold up sides and bars that lock into rack tops.